We have seen a wide range of portable chargers here at Geeky Gadgets, most of them come with some sort of USB charger to charge your smartphone or tablets, but now we have the ChargeAll which is designed for all types of electronic devices. The ChargeAll will let you charge your smartphone, tablet, MacBook, and basically anything with an AC plug, as it features an AC outlet built in. 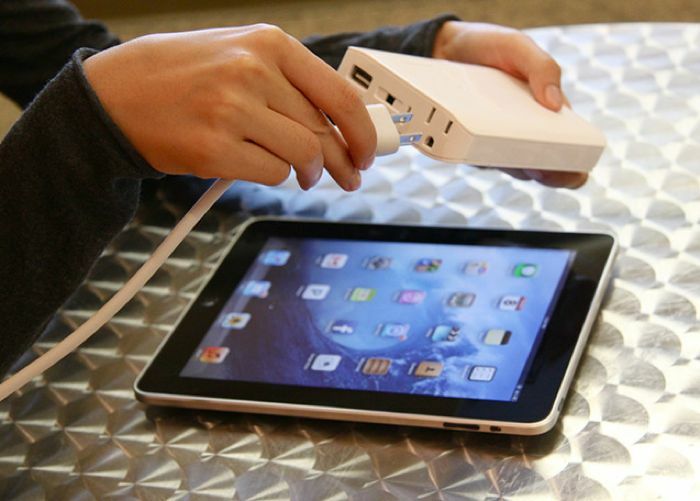 Have you ever wished you could take the wall outlet on the go? ChargeAll gives you the power to do things you never thought possible; power up and charge your cell phones, tablets, digital cameras, fans, curling irons or desk lights! Yep, you read that right, curling irons! It’s so small and compact you can literally put it in your pocket, your purse or your backpack. There will be two versions of the device available, one which measure 4 inches by 1 inches by 6 inches and comes with a 12000 mAh battery, the other is slightly larger and features a 18000 mAh battery. The ChargeAll is being funded over at IndieGoGo, when the device launches it will retail for $149.99, but prices on IndieGoGo start at $99 for the first 500, $109 for the next 500 and $119 for the rest. 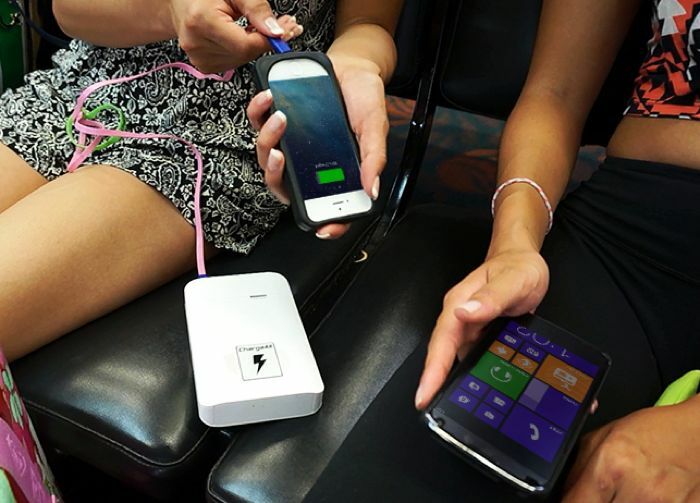 You can find out more details about the ChargeAll over at IndieGoGo at the link below.